This is a series of posts about my experience leveling up my Android development skills with Udacity's Nanodegree program. The entire series can be found under the udacity tag here. See here for the full expand transition code on Github. One important thing here is, if you just use the above code as it is, you will notice that the Views that are sliding upwards are clipped from below. That's because ViewGroups automatically clip their children when drawing. This needs to be disabled by setting android:clipChildren to false on each ViewGroup in your XML or code. The code for this is here and here on Github. This code can be found here, here and here on Github. NOTE: if you use Picasso, you'll have to write some extra boilerplate code so that Palette can access the bitmap after it's been downloaded and decoded. See Jake Wharton's blog post and this gist. Too many type sizes and styles at once can wreck any layout. 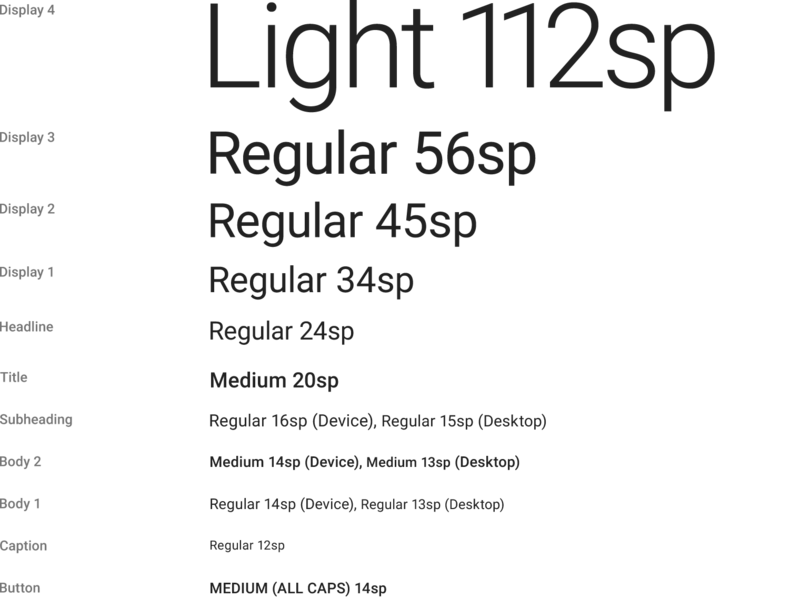 A typographic scale has a limited set of type sizes that work well together along with the layout grid. These sizes and styles were developed to balance content density and reading comfort under typical usage conditions. You can use any of the styles from the guidelines: Title, Subheading, Body1, Caption, Display3, etc. You can see the styles I'm using here on Github. To increase line spacing all you need to do is set android:lineSpacingMultiplier to a factor slightly > 1 like 1.15 which I use here. That's all for week 2! Feel free to leave a comment below if you have anything to add!